“My last message for you consists of the words of ideals and unity. The noose is hanging over my head. Death is knocking at the door. Yet my mind is travelling towards eternity. This is the time to accomplish. This is the time to recall the past days and the sweet memories that I have with you! Breaking the monotony this retention brings variety in my life and inspires me. At this amazing moment the only question that is coming to my mind is what shall I leave behind for you? I am leaving nothing for you except the dream of independent India. I was motivated by this dream in one of the auspicious moments of my life. I have chased this dream enthusiastically and tirelessly throughout my life. I don’t know at which point I am leaving it. If the cold hand of death touches you before materialising this dream, like me hand it over to your fellows. My dear friends, keep moving forward. Never fall back and never leave this dream. Don’t be frustrated. Success will surely come to you.” This was how a few hours before his execution Surya Sen encouraged his comrades in a letter to pursue the dream of independence. Surya Kumar Sen, also known as Masterda Surya Sen, organised and led one of the most heroic episodes of Indian freedom struggle to liberate the people of this region from the clutch of British imperialistic rulers. He, along with his fellow revolutionaries, stormed the then British administration through the famous Chittagong uprising and consequently turned into an inspiration for the freedom-loving people all around the world. Surya Sen was born on March 22, 1894, in Raozan’s Noapara village in Chittagong (now Chattogram). On the occasion of his 125th birth anniversary, ‘morning tea’ pays tribute to this great revolutionary. Born to school teacher Rajmoni Sen and housewife Shashi Bala Devi, Surya Sen lost his father at an early age. However, his paternal uncle Gourmoni Sen took his responsibility soon. He completed his primary education from Dayamoyi High Primary School and passed Entrance Examination from Chittagong National High School. Then he passed First Arts Examination from Chittagong College and took admission there again in BA class. Motivated by one of his teachers, Sen joined the Anushilan Samiti, which took revolutionary violence as a way to uproot the British Government. Later he went to West Bengal and enrolled himself into Behrampore College. While studying there being influenced by his teacher Shatishchandra Chakrabarti, Surya Sen was attracted to another revolutionary outfit Jugantar. He returned to Chittagong in 1918 and started working as a mathematics teacher in Chittagong National High School. In May 1919, in the face of continuous pressure of one of his cousin brothers and sister-in-laws he had to marry Boalkhali’s Nagendranath Dutta’s daughter Pushpokuntola Dutta against his will. However, Sen made it clear to his wife on the very night of his marriage that he could not continue the conjugal life citing that he had a different aim in life. Consequently he organised Jugantar in Chittagong and spread its ideals among the mass people. His organisational ability, oratory skills, and ability to reach the ordinary people made him popular and it was the time when he earned the moniker of Masterda. 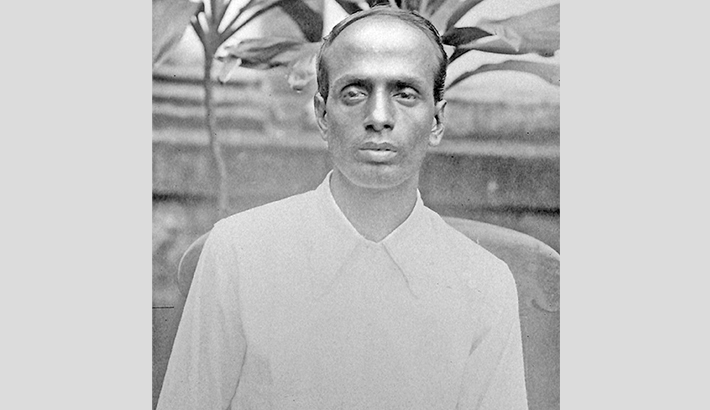 Surya Sen joined Indian National Congress as Mahatma Gandhi assured that he would bring Swaraj within one year. However, when Gandhi called off the non-cooperation movement following the infamous Chauri Chaura incident in February 1922, he became frustrated. He again concentrated on re-organising the revolutionaries. Sen realised the need for a concerted revolutionary strike on the British installations in India and felt it was the only way to shake them. Thus he and his fellows looted the treasury of Asam-Bengal Railway for collecting fund to prepare themselves. Police arrested Surya Sen and Ambika Chattopadhyay. Both of them were released from the jail towards the end of 1928 and again started revolutionary activities. Sen established a gymnasium in Chittagong for the revolutionaries and directed them to improve their physical and psychological condition. Then he trained them with arms and ammunitions. Surya Sen was elected the general secretary of Chittagong District Congress in 1929 in its conference presided over by Shubhas Chandra Bose. In the same year revolutionary Jatindranath died of hunger after 63-day long strike in Lahore Jail and as a result agitation broke out in the entire Bengal. It was the time when Sen described his further action plan of the revolution before the party members where he targeted to capture two major British armouries in Chittagong and distribute weapons among other revolutionaries who could then establish an armed unit. He instructed to dismantle the telephone and telegraph system and finally break down the railway links between Chittagong and rest of the Bengal to isolate the city. Chittagong was one of the major centers of British rule, and also a prominent trading center. Many British oil companies were located there, and strategically the city gave the British a front line of defense in the face of a probable Japanese attack. Thus striking Chittagong and securing it would mean that one of the nerve centers of the British Empire in India was compromised. According to the prefixed plan, Surya Sen and 60-65 revolutionaries, under the banner of the Indian Republic Army, embarked on their mission on the night of April 18, 1930. One group led by Ganesh Ghosh, took out the Police Armoury, while the other members headed by Lokenath Paul captured the Auxiliary Force Armoury, which contained Lewis guns and .303 army rifles. They successfully cut off telephone and telegraph links, and disrupted the movement of trains. But they were shocked as they did not find any ammunition in both of the armouries! Yet they didn’t lose their spirit. All the revolutionary groups gathered outside the Police Armoury where Surya Sen took a military salute, hoisted the national flag, and proclaimed a Provisional Revolutionary Government! Without ammunition in tow, the revolutionaries understood that they couldn’t engage the British in an open battle. Knowing that they would get crushed in urban centres and open fields, they left for the hilly region of Chittagong in order to find a safe haven. On April 22, however, thousands of British army personnel caught up with them on Jalalabad Hill and both sides engaged in a terrible fight where 12 revolutionaries and 80 British Army personnel died. With no hope of victory in sight, Sen and his comrades escaped into the neighbouring villages where they divided themselves into small groups and lurked. Within a few days they started conducting surprise guerrilla attacks on colonial personnel and property on a regular basis. In September 1932, Sen entrusted Pritilata Waddedar, one of the most courageous female revolutionaries of his team, with the responsibility of leading a group for attacking the Pahartali European Club, which displayed a notorious signboard that read ‘Dogs and Indians not allowed’! The revolutionaries torched the club though many of them were arrested by the British police. During this assault injured Pritilata committed suicide by taking Cyanide to avoid arrest. Stunned by Surya Sen’s actions, the British began a series of brutal combing operations around the Muslim-dominated villages where the revolutionaries were hiding. Despite repressive British actions, these villagers didn’t betray Sen and his fellow fighters. Moreover, they offered them food and shelter for three years. But Sen and his followers always had to move from one place to another as he was constantly followed by the British police. However, Netra Sen, a traitor, one day informed the British Police that the revolutionaries were hiding in his home. On February 16, 1933, colonial police raided the house and arrested Sen. His fellow revolutionaries were arrested soon and sentenced to many years in prison. Moments before his execution on January 12, 1934, in Chittagong Jail, Sen was brutally tortured by the British Police. His bones, limbs and joints were shattered with a hammer and his nails were pulled out! Finally his unconscious body was dragged to the gallows where he was hanged to death. The prison authorities were afraid of Surya Sen’s popularity so much that they didn’t think of allowing his funeral! Putting the dead body in a metallic cage they went deep into the Bay of Bengal and threw it there! The Chittagong revolution was instrumental in building a new momentum for a nationwide independence movement. This uprising had made it clear to the British policymakers and administration that the people of this region can do anything to achieve their independence. All these things happened due to the fearless leadership of Masterda Surya Sen. He was the chief architect who planned and led this anti-British freedom movement in Chittagong. Unfortunately despite having such a valiant revolutionary who is from our own country, the cult of Surya Sen is less pervasive than that of some foreign revolutionaries among the youths of Bangladesh! It is because they have little idea about him. His birthday can be a perfect occasion for them to know more about this selfless revolutionary.